One of my greatest pleasures in life, alongside art, is reading. Books have always played an important role in my life and I doubt there has been a day in almost 40 years when I haven’t had at least one book on the go. Actually these days I’m finding it harder and harder to finish books, so I think I currently have about ten on the go... Part of the joy of having children has been re-reading my old favourites with them and discovering new ones written more recently. As a child, my dream job was to be a second-hand bookshop owner or a librarian, but somewhere that got lost along the route and I became an accountant and finally a very happy artist. I wouldn’t swap my job now! 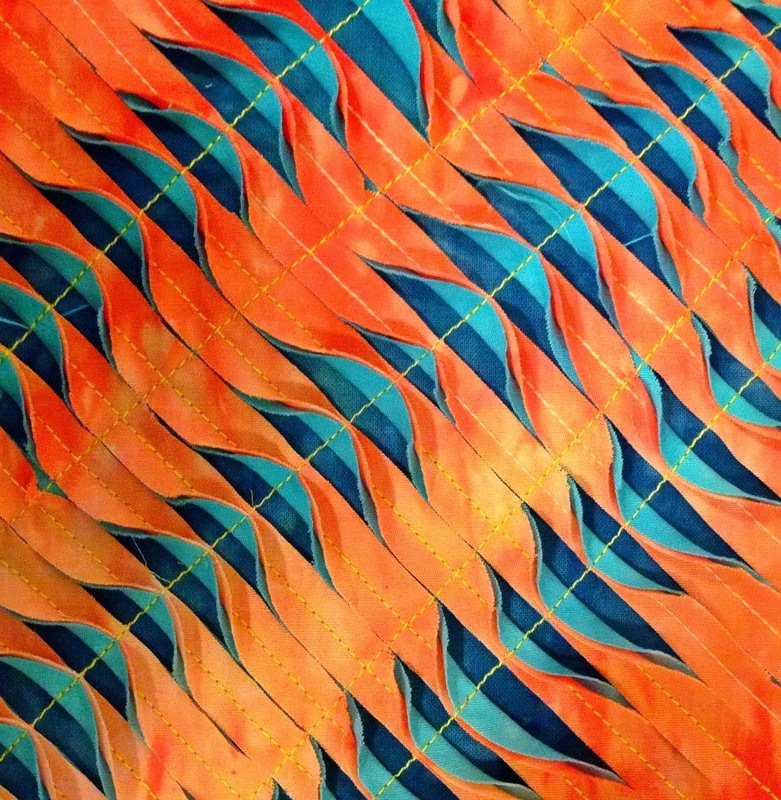 Given I read so many books on art and textiles and occasionally, technique, I thought I would share some with you on this blog now and again. I hope you like my choices and if you have any others you think I should be reading, do let me know – I always love hearing about good books! This book is only just out, published by David and Charles. 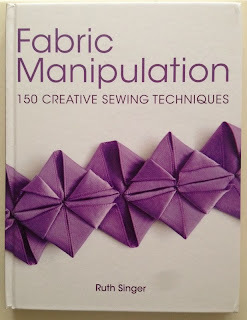 It is amazingly comprehensive, dividing techniques into ‘Pleat & Fold’, ‘Stitch & Gather’ and ‘Apply & Layer’, along with a basic introduction to fabric, threads, tools and stitch techniques. Ruth encourages readers to experiment and make the techniques their own. 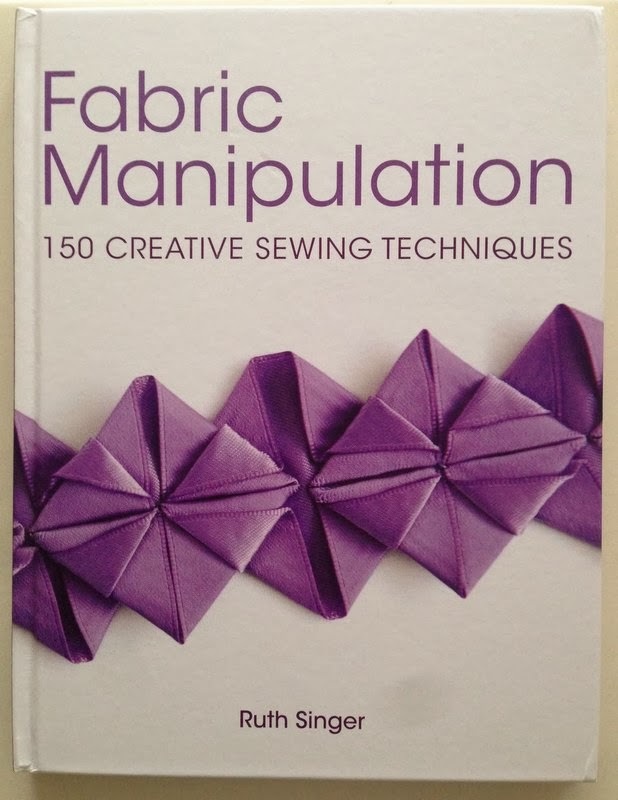 Although there are some small projects in the book, its aim is definitely to impart some of Ruth’s huge technical ability to start readers on their fabric manipulation journey. That implies it is a book for beginners, it is, but there is also lots for more experienced stitchers as there cannot be many people with all these techniques in their repertoire. 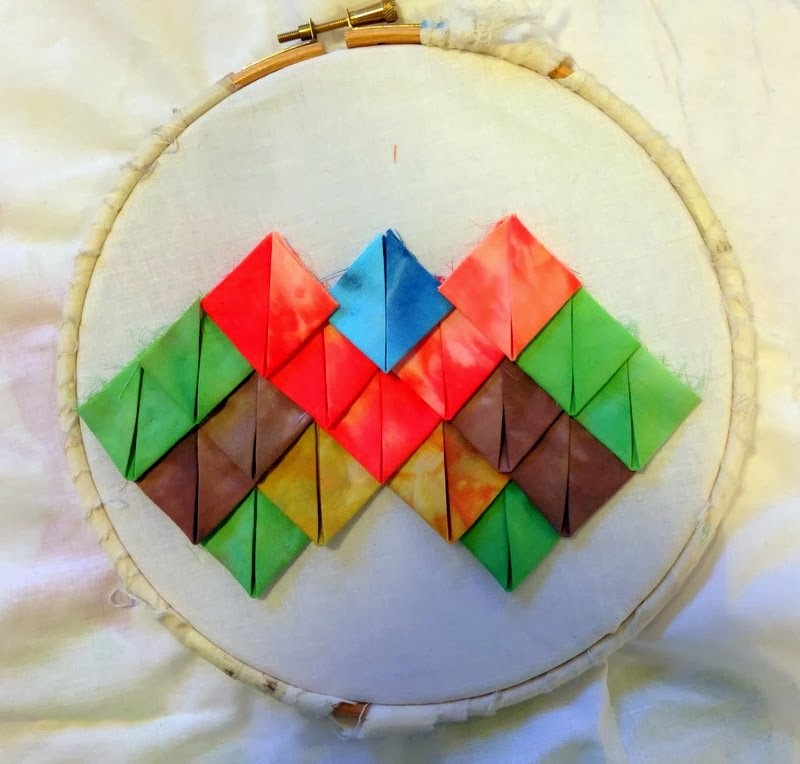 Many of the techniques come with ideas for further experimentation. In her samples, some have drawn illustrations to show how to make them as well as photographs and Ruth also gives advice of the fabrics she has used and what she thinks works well for that particular technique. I had fun making some samples based on the book and it is also good for reminding you of things you have tried in the past but have forgotten. It is certainly a book I will return to many times, which, in my view, makes it a very good book indeed. 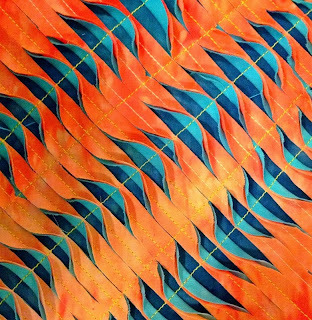 Ruth runs workshops in Leicester and around the country and exhibits her work across the world. I think it is only fair to say that I have known Ruth for a number of years and it has been a great joy to watch her work develop and take off. She is a very hard working and talented stitch artist and teacher. But even if I didn’t know her, this book would be high on my wish list as it is so comprehensive. Thanks Gillian! Lovely samples, I like the folded squares in different colours, particularly. Very pretty samples, Gillian. You make something fiddly looks so easy!